O Panneerselvam took oath today as Tamil Nadu's deputy chief minister. 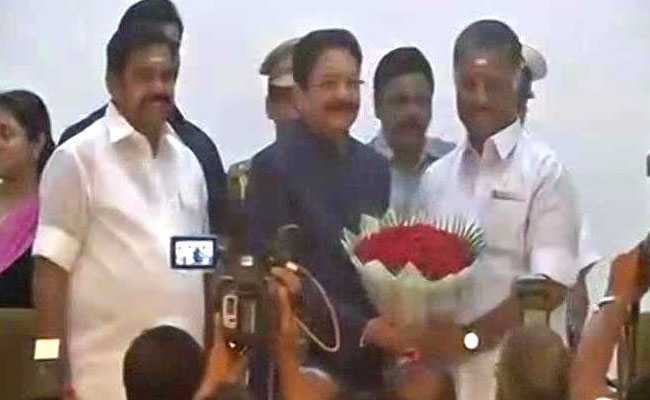 Chennai: O Panneerselvam, who has been chief minister of Tamil Nadu three times, took oath today as the state's deputy chief minister as part of a merger agreement between his faction of the ruling AIADMK and that led by Chief Minister E Palaniswami. "The burden in my heart is gone. 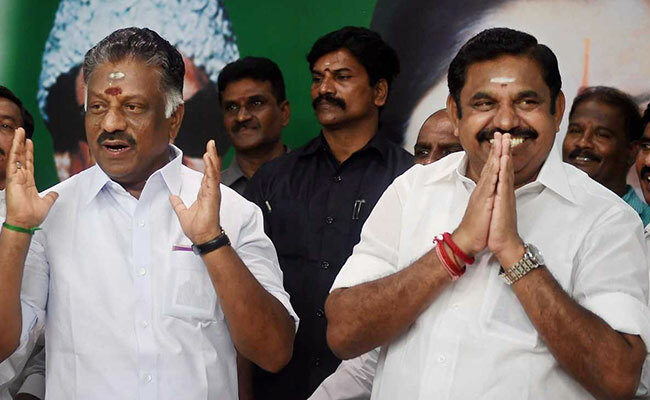 No one can separate us, we are children of Amma (J Jayalalithaa), and we are brothers," said Mr Panneerselvam, who shook hands with Mr Palaniswami in a joint appearance at the AIADMK's headquarters in Chennai as they announced the move to reunite. A little over six months ago, Mr Palaniswami was a minister in the government led by Mr Panneerselvam, also known as OPS. Weeks before the split, when then Chief minister J Jayalalithaa, Amma (mother) to her supporters and fans, died in a Chennai hospital, Mr Panneerselvam took oath to the top post. He had stepped in before, twice, handpicked by Ms Jayalalithaa when she had to resign over corruption cases. As Chief Minister, each time for a few months, Mr Panneerselvam shunned the trappings of the post, choosing to operate not from the Chief Minister's room in the state secretariat, but from his office as the state's Finance Minister, which he got back today. His successor has had no such compunctions. To make the transition in the government less awkward, Mr Palaniswami or EPS will play deputy to OPS in the party. Mr Panneerselvam will take charge of the party as the AIADMK's "Chief Coordinator," while the chief minister and senior leaders like KP Munusamy and V Maitreyan will be deputy coordinators in an 11-member decision-making panel. The sacking of VK Sasikala, who is in a Bengaluru prison in a corruption case, as the party's chief was an important demand of Team OPS for the merger. That was not announced today but party sources said it will happen soon. Hours after the death of the AIADMK's powerful chief Ms Jayalalithaa in December, her live-in companion of years VK Sasikala had taken control and had arranged for Mr Panneerselvam's third oath ceremony as Chief Minister. A few days later she became the party's general secretary, its top post. It was in February this year, when Ms Sasikala forced Mr Panneeselvam to step down, with a plan to also take over as Chief Minister. 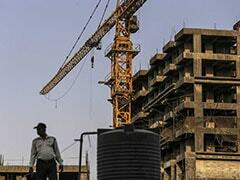 Mr Panneerslevam resigned, but also rebelled challenging the decision. Ms Sasikala's takeover bid was thwarted when the Supreme Court sent her to a Bengaluru jail in a corruption case, but before leaving Chennai she ensured that Mr Palaniswami was made Chief Minister and appointed her nephew TTV Dhinakaran as the party's chief. Mr Dhinakaran has staged shows of strength as he rejects Chief Minister Palaniswami's attempt to sideline him in order to facilitate the merger. This morning 17 of the AIADMK's 134 legislators gathered at his home even as the party was prepping for the re-union. 20 had showed up at a rally he held in Madurai last week.